What I love most about London is probably the shopping. This place is a retail heaven! And because shopping and fashion go hand in hand I’ve got an excuse to go on about it. There is such a variety of shops you get spoilt for choice. I’m gonna start from the back and then go on about my favourite place ever, because it needs a proper inside tour. Apart from the obvious stops like Oxford street and surrounding streets, there is a good little area just off the Regent street where it’s got always great buzzing atmosphere. 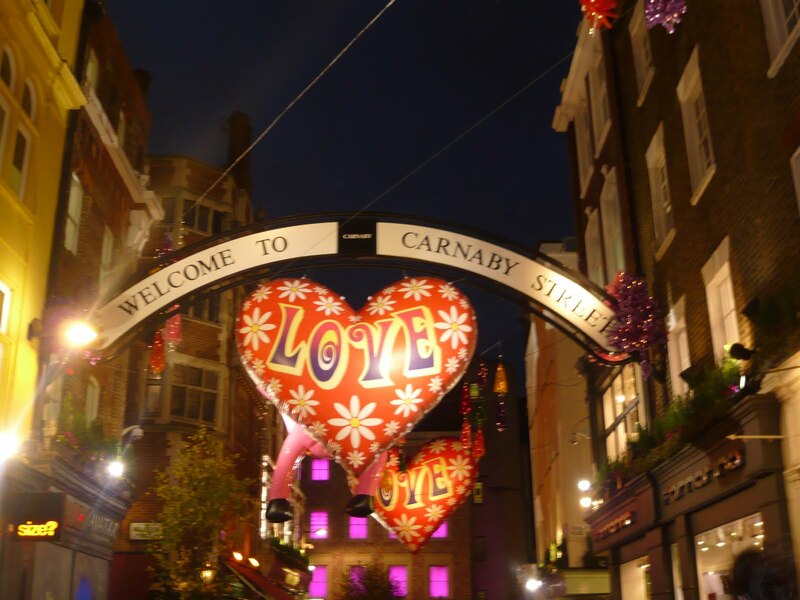 I’m talking about Faubert’s Place and Carnaby street, that are full of amazing branches of All Saints, Diesel, Miss Sixty and so on but you can also find there some fab independent boutiques as well. It’s worth checking out and whilst you out there you can get some nice food or a drink in many little caffes and restaurants. Love it there! And now to number one Selfridges, which you may have guessed as I mentioned it in my blog before and you can be sure I will mention it again and again. Whether shopping or not, whenever I’m in that area I always go in at least to have a look. I start at the ladie’s accessories section, get mesmerized at Balenciaga, amazed at Alexander McQueen, have a look in Prada and Miu Miu and just browse around. Then I go through the cosmetics section, stopping at Mac and getting beauty tips. After is my favourite Ladies contemporary department. It’s got the best atmosphere ever. I often can’t resist and just move to the music they’re playing there. Amazing place! And the rest varies. Whatever I’m looking for I know I can find it in Selfridges. You can spend hours there and always discover something new. That’s why I never miss a chance to pop in and either spoil myself a little or just get inspired. I’d like to know what is your favourite place so drop me an email or just write a comment. Happy shopping.